Insomnia and depression go hand in hand. Getting a good night's sleep and waking up feeling well-rested is difficult for many, but even more so for those who are depressed. Research has even proven that improving sleep can boost your mood. You probably already know the basics when it comes to a healthy sleep cycle, things like having a bedtime routine, staying healthy in your daily activities and avoiding things that keep you awake are essential. But do you know these four facts about insomnia and depression? Depression can cause bad sleep, and vice versa. It’s sometimes hard to tell which one comes first. A recent Australian study found that insomnia was linked to depression, anxiety disorder and panic disorder in teenagers. 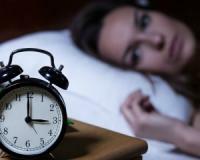 The study authors noted that having insomnia in addition to anxiety disorder or panic disorder can intensify the problems of each individual condition. Likewise, a 2013 Canadian study found that treating both insomnia and depression simultaneously can improve symptoms of both. If you want to kick insomnia for good, medication isn’t the answer. Sleeping pills can help kick-start your slumber party, but their effects wear off if you use them long-term. Plus, mixing sleeping pills with other medication like antidepressants can be dangerous to your health. Instead of relying on pills, you must follow the “rules” for good sleep. Some rules include: Keep your bedroom cool and dark, avoid caffeine up to 12 hours before bed, go to bed at the same time every night, and so on. To initiate a deep sleep, you might want to try using a few drops of an essential oil like lavender on your pillow. Lavender is well known to induce good sleep. Natural is the way to go! A recent Louisiana State University study found that drinking tart cherry juice before bed improved insomnia in older adults with hdepression. Furthermore, previous research has shown that herbal remedies, like chamomile tea, can help as well. These remedies work by slowing your mind and giving you that sleepy, ready-for-bed feeling. Some people also swear by hot tea or milk to induce sleep. Give some of these options a try and see which works for you. Sometimes doctors ask their insomnia patients to keep sleep diaries to help identify lifestyle factors keeping them awake. However, some claim that logging and analysing your slumber can worsen your condition if you’re a depression patient too. If you feel that keeping a diary isn’t helping, try doing away with it. Research suggests that the more you think about your condition, the harder it may be to fall asleep. If this rings true to you, perhaps trying to take your mind off it rather than over-analyse it could help you. If your insomnia persists after following these tips, you should consult your doctor who will be able to help you treat the condition accordingly. The depression diet: Is your food influencing your mood?